Lacey Everhart has carved out a tough existence in the wilds of 1880s Wyoming, working hard to build a secure life for herself and her younger brother, Luke. She will stop at nothing to protect what’s hers and keep them safe. Even if it means keeping a secret that could destroy their lives. Marshal Dylan J. Kane is a man who considers everything as black and white, right or wrong. He’s never seen life any other way until he sets eyes on Lacey. Suddenly the straight and narrow that he’s followed has a few twists and turns. Loving Lacey offers the home life for which he hankers…but can he really love a woman who seems to be plain lawless? I bought this books when it first released in 2013, and I’m finally got around to reading it. So glad I did. It’s a fast read, basically, only 42 pages, but it somehow got dropped to the bottom of my TBR list. As with many novellas, the first kiss and/or episode of sexual tension, felt rushed, but the act wasn’t completed until later in the book, which was a huge saving grace. Lacy is a strong woman trying to protect her brother from a devastating secret. Dylan is a Marshal who sees the world in black and white. But once these two meet, Lacy will have to learn to trust, and Dylan will be forced to admit that sometimes, the world presents itself in shades of gray. The characters are as well developed as any can be in just 42 short pages, and while the language isn’t the prose of Kathleen Woodiwiss, it fits the times and education levels of the characters. It reads the way a western novel would if John Steinbeck collaborated with Linda Lael Miller and Louis L’amour. 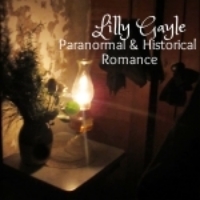 It also deals with subject matter I seldom seen in romance, especially a novella, and yet Ms. Downing handles it quite well. 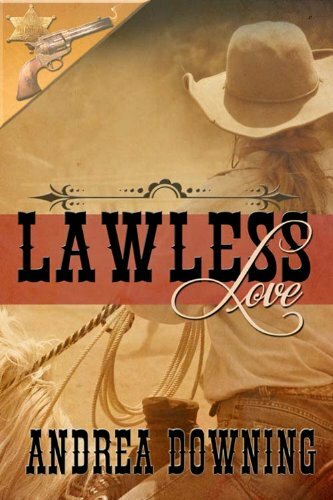 If you’re looking for a western romance and don’t have a lot of time to read, then I highly recommend, Lawless. 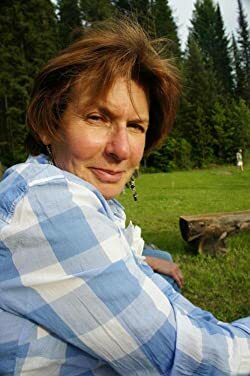 Andrea Downing has spent most of her life in the UK where she developed a penchant for tea-drinking, a tolerance for rainy days, and a deep knowledge of the London Underground system. In 2008 she returned to live in the city of her birth, NYC, but frequently exchanges the canyons of city streets for the wide-open spaces of the West. Her love of horses, ranches, rodeo and just about anything else western is reflected in her writing. Loveland, a western historical romance from The Wild Rose Press, was her first book and a finalist for the RONE Award for Best American Historical in 2013. It has recently been re-released by Amazon Encore. Lawless Love, a short story, part of The Wild Rose Press ‘Lawmen and Outlaws’ series, was a finalist for Best Historical Novella at the RONE Awards and placed in the 2014 International Digital Awards Historical Short contest. Dearest Darling, a novella, is part of The Wild Rose Press Love Letters series, and came out Oct. 8th, 2014. It won the Golden Quill Award for Best Novella along with‘Favorite Hero’ and Honorable Mentions for Favorite Heroine, Short Story and Novel in the Maple Leaf Awards. It has also placed third in the International digital Awards for Historical Short. Dances of the Heart, her first contemporary novel, came out in February, 2015. The novella, Bad Boy, Big Heart, appears in the anthology Come Love a Cowboy and her old west ghost story, Long a Ghost, and Far Away comes out in another anthology, The Good, The Bad, and The Ghostly autumn 2016.